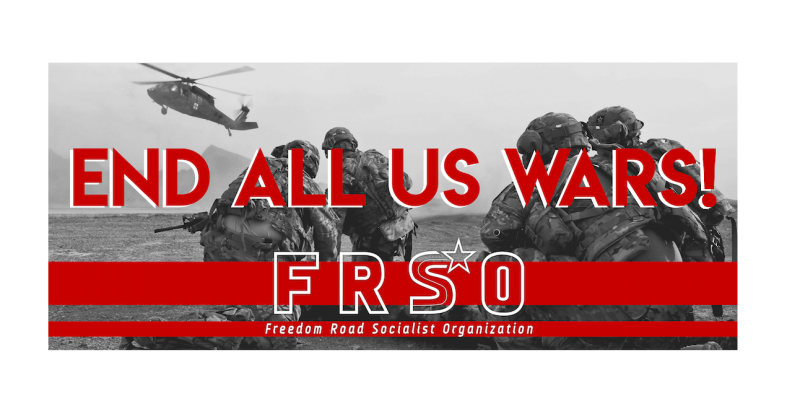 FRSO mobilizes against U.S. wars and racism | Fight Back! Washington D.C. - The Freedom Road Socialist Organization (FRSO) is building for a rally and march against U.S. wars and racism in Washington D.C. this Saturday, March 30. “Oppose NATO, War, and Racism! Oppose U.S. intervention in Venezuela!” is the theme for a rally starting at 1 p.m. across from the White House in LaFayette Park. The North Atlantic Treaty Organization is set to ‘celebrate’ 70 years on April 4. April 4 is also the anniversary of the day Reverend Martin Luther King Jr. was assassinated. So, a large coalition of anti-war, international solidarity, and anti-racist organizations are gathering to protest. Speakers at the anti-war rally will educate people about how the FBI targeted King due to his leadership in the movements opposing racism, poverty and war. “President Trump is threatening a U.S. invasion of Venezuela. Trump just announced he wants to add Brazil to NATO, so he can order them to war against Venezuela. We need to stand in solidarity with Venezuela and the Bolivarian revolution!” said Cassia Laham, a member of the FRSO and a leader with the United National Anti-war Coalition. You can join the FRSO at the rally. Look for the FRSO banner, “End all U.S. wars!” A team of comrades will be signing up supporters and distributing Fight Back! newspaper.